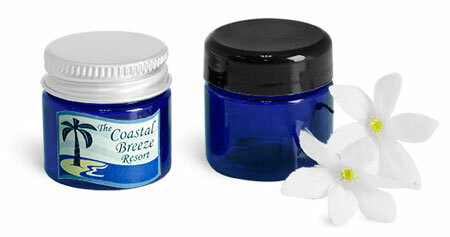 Give your amenity line a rich, streamlined look with our 1/2 oz cobalt blue PET jars. They may be a great container for a variety of lotions, salves or balms. These jars are offered with black dome caps, silver aluminum caps and black or white smooth caps - a perfect complement to any decor.